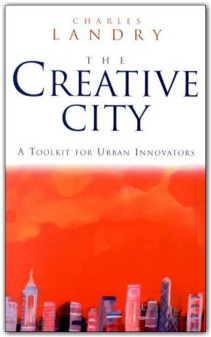 Dr. Ron Zaccari facilitated discussion about Charles Landry’s The Creative City at the April 18 Opportunity Central Book Club meeting. Three of Valdosta's greatest assets: healthcare, climate and resources. Dr. Zaccari closed by saying by expressing how much he believes in Valdosta-Lowndes County and its future as a thriving and growing city. "It only takes people with a vision and a plan to create a great city"